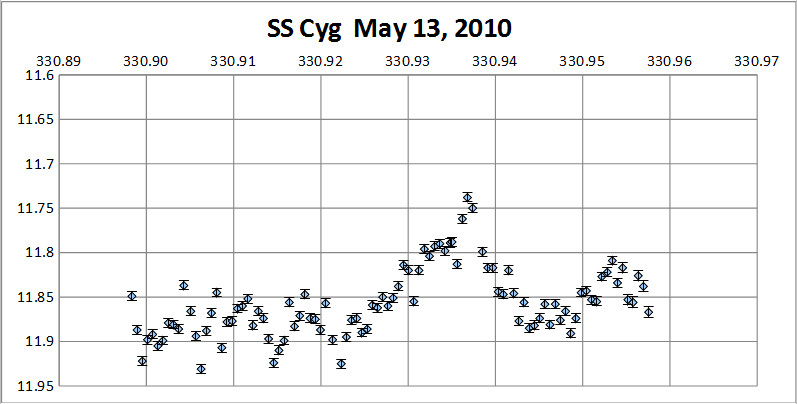 This is a time series of observations of a dwarf nova cataclysmic variable in the constellation of Cygnus (SS Cyg). The observations lasted less than 2 hours. Viewing conditions were only fair and deteriorated quickly. 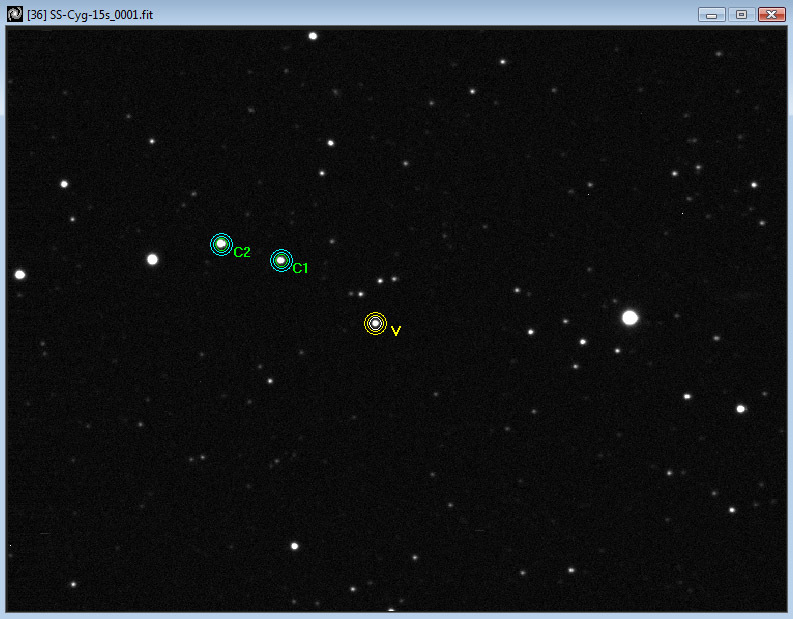 The accompanying image shows the star field with SS Cyg labeled as "V" and the comparison stars marked as C1 and C2. SS Cyg is at this time undergoing some unusual activity while in quiescence.